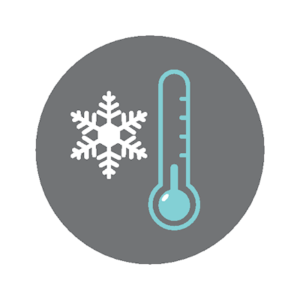 Do you want to know what one of the most easily forgotten components of temperature control is? It’s the thermostat itself. They’re necessary for proper function, of course, but modern models provide a host of awesome features and choices. Here at Freedom Air and Heat, we help you choose a setup that’s perfect for your lifestyle. Today’s thermostats rely on cutting-edge technology and capabilities. Gone are the days of relying on clunky, minimally responsive mercury thermostats. Digital thermostats are much more accurate than their predecessors were, and they provide new choices and capabilities. Digital thermostats can do some truly impressive things. Programmable thermostats, for example, allow you to live more comfortably while saving yourself a lot of money. You see, unlike previous setups, you can adjust these devices remotely or automatically on a schedule. The thermostat can allow the temperature to rise while you’re at work, then cool it back before you ever get home. This means you’re not cooling an empty house all day – something that’s particularly useful during Florida summers. Digital thermostats are also much safer for your family and the environment. Traditional mercury thermostats have the highest concentration of mercury in any household item. If the unit breaks, you and your loved ones risk exposure to the dangerous metal. With digital models, you don’t have to worry about curious children or clumsy relatives in the vicinity. At Freedom Air and Heat, we specialize in zone control. This solution helps you fine-tune the temperatures in various rooms of your house by installing multiple thermostats throughout the home. In turn, your system can compensate for rising heat, sunny windows, and cold winds on one side of your home. The result is less wasted power and a more comfortable, personalized temperature in all the rooms of your home. If you’re ready to learn more about digital thermostats or zoned temperature control, give us a call at 321-631-6886. We can’t wait to help you experience the future.